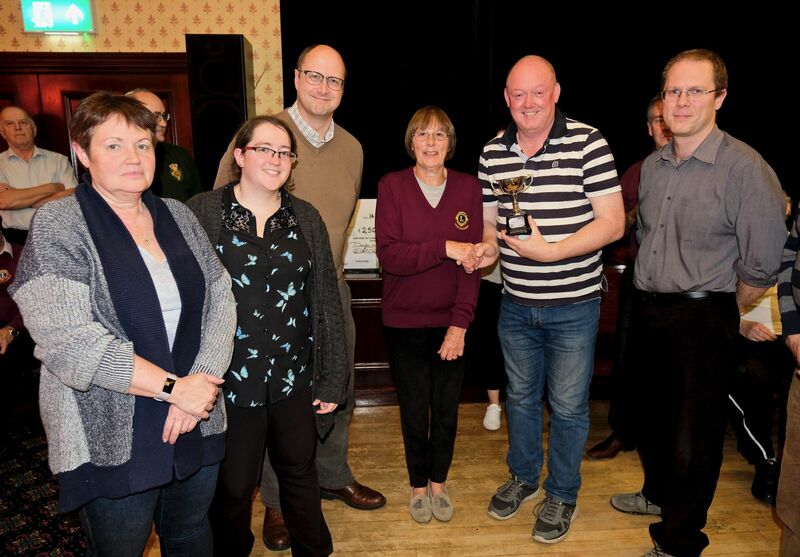 We raise funds for many good causes, as conferred by our Community Services Committee. 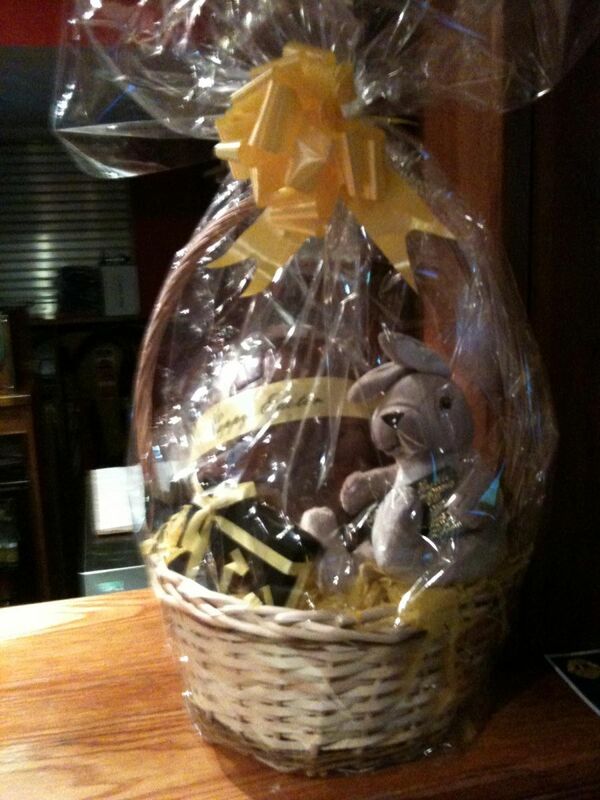 We fund raise by running an Easter Egg Raffle, Car Parking Management eg at Marlow Regatta, Hall Barn Shakespeare and other football and fete occasions and a Pub District Quiz. We also run Christmas Sleigh and Store collections, to fund over 300 Christmas Food Parcels for the elderly and needy people of High Wycombe, as directed by Social Services and Police.These include Wycombe Homeless Connection, Rennie Grove Hospice at Home, Child Bereavement, Youth Deaf Activities to name a few. 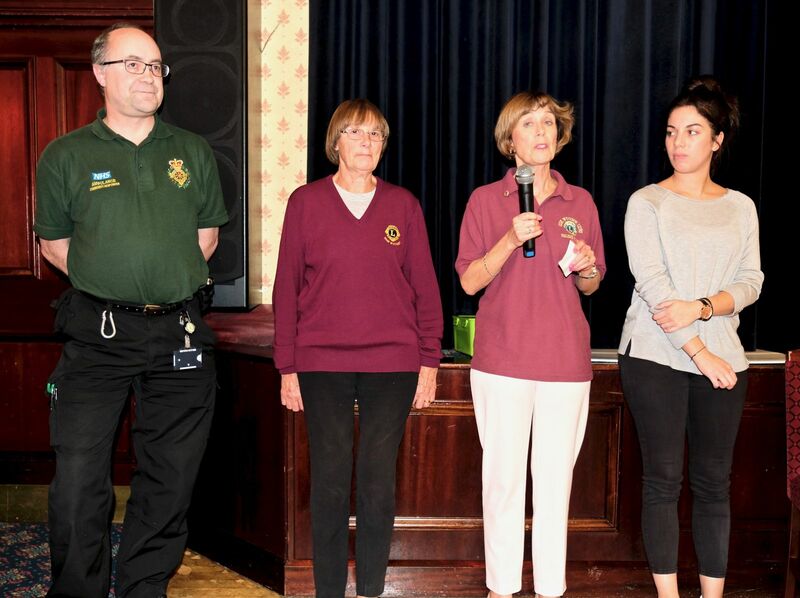 We also help Marie Curie with thier annual collection. 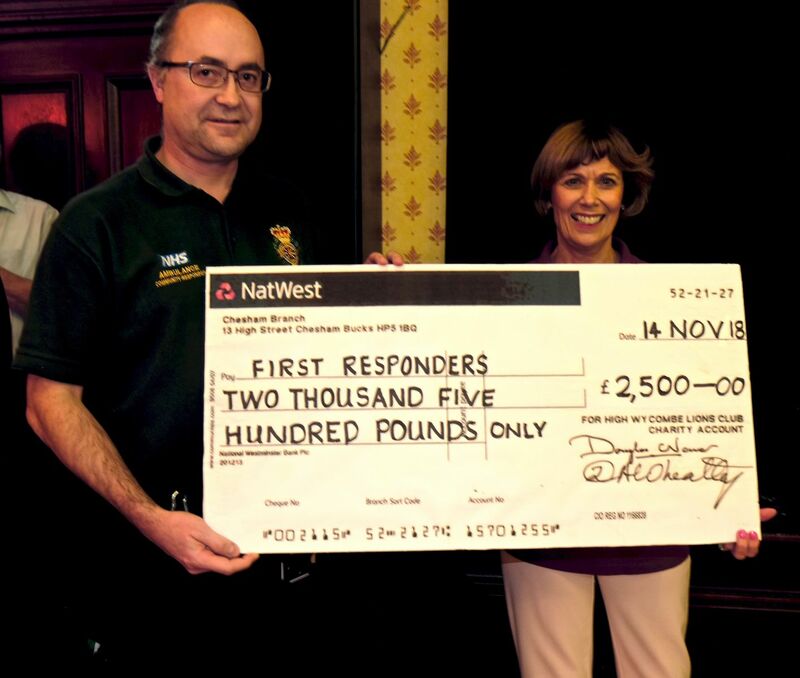 This year, we are raising funds to enable High Wycombe First Responders to buy their own vehicle. A winning poster by Gemma Warburton. We sponsor a local school each year to enter the Peace Poster Competition. 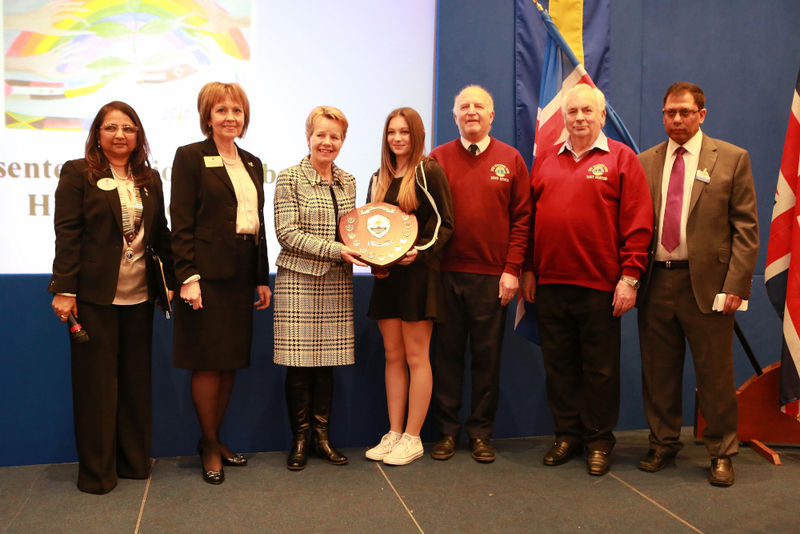 Each year Lions Clubs around the world proudly sponsor the Lions International Peace Poster Contest in local schools & youth groups. This art contest for children encourages young people worldwide to express their visions of peace. During the last 22 years more than 4 million children from nearly 100 countries have participated in the contest. 24 international finalists are selected each year, representing the work of 350,000 young participants worldwide. Posters are shared globally via the internet, media and exhibitions around the world. 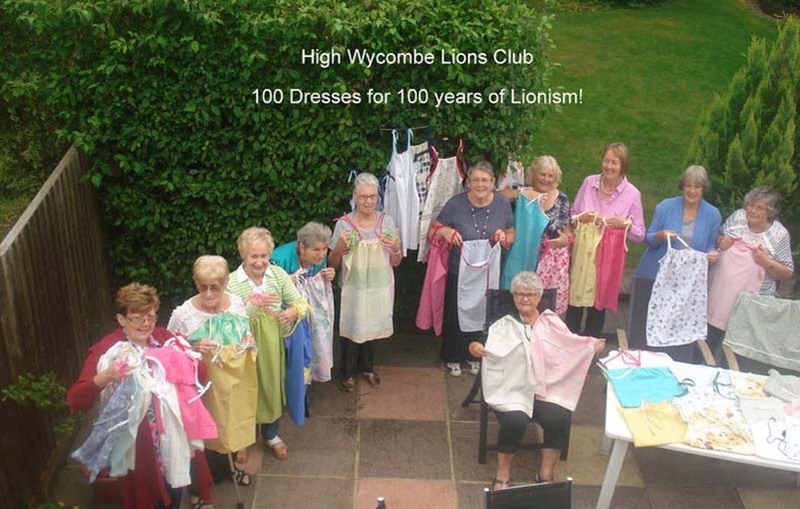 100 DRESSES FOR AFRICA, FOR 100 YEARS OF LIONISM! MESSAGE IN A BOTTLE / WALLET AND ALL WE DO. 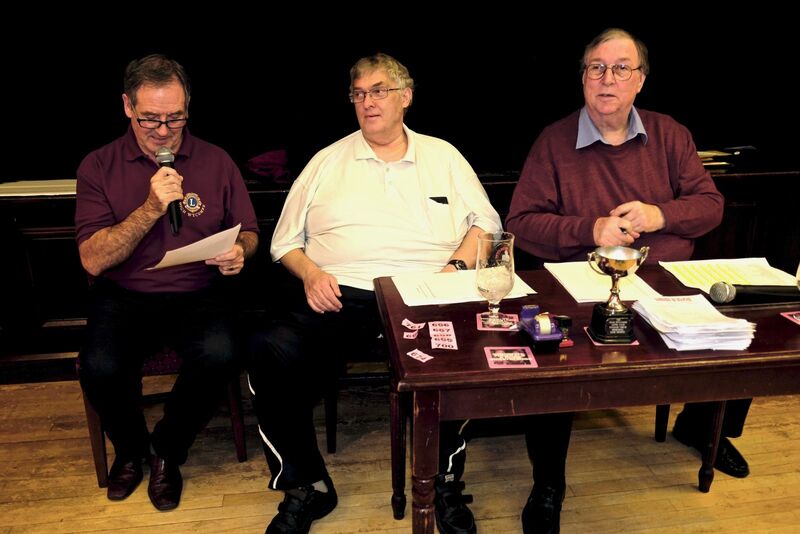 OUR FIRST VENTURE INTO HIGH WYCOMBE LIONS CALENDARS. 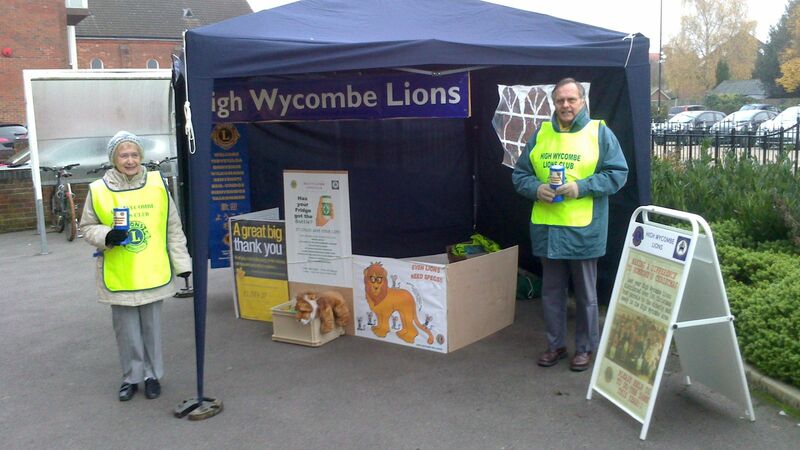 NOT TO FORGET OUR HARDY CHRISTMAS STORE COLLECTIONS TEAM COMPRISING OUR LIONS AND MEMBERS OF CHARITIES WE SUPPORT! !